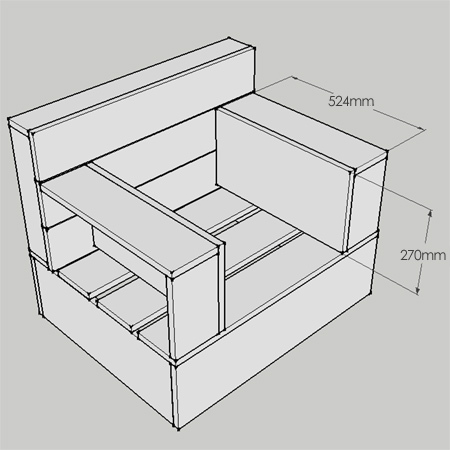 Forget my last feature for DIY outdoor furniture, this is definitely one garden suite that I want to build. The outdoor patio suite probably costs a small fortune but is a simple DIY project that anyone could tackle. I would probably use Meranti for the construction, but you could just as easily use any reclaimed timber you manage to get your hands on. 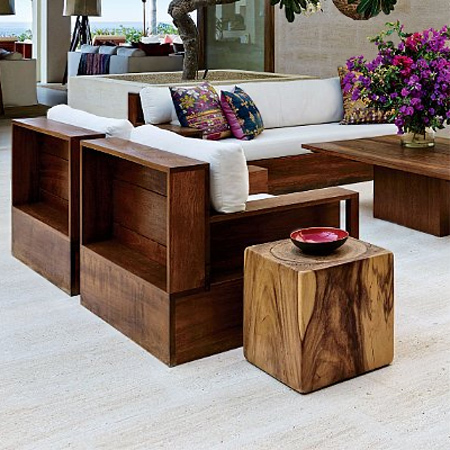 Seen on Architectural Digest, this patio set is shown in one of Cindy Crawford’s holiday homes. Take a close look at the design and you will immediately see that this is most definitely a DIY do-able project for even a beginner! While your could use PAR and laminated pine for this project, my personal opinion is that this design deserves something a bit better than pine. 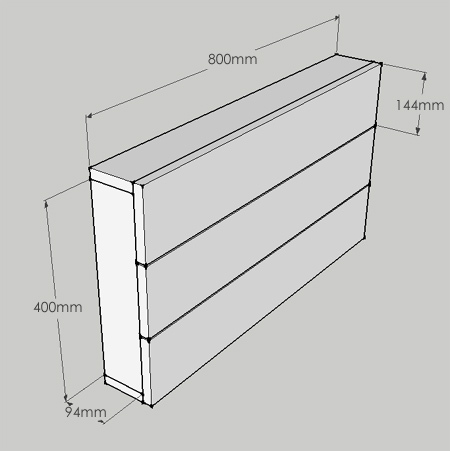 An affordable and far better timber than pine is meranti. This semi-hardwood is far better suited to the design of this outdoor patio set and is stronger than pine, and because you can buy wider planks, it actually works out only slightly more expensive and will last far longer. If the budget allows, you might even consider looking at using teak for this project. 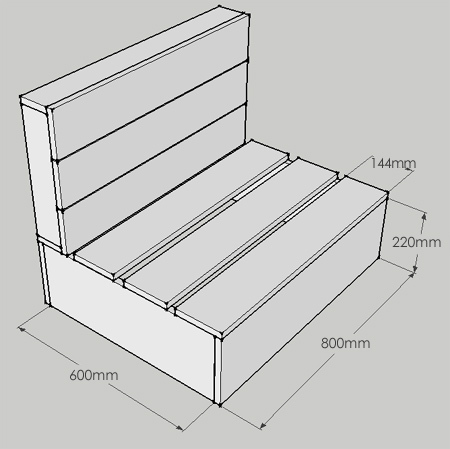 I based the measurements for the diagrams below on the range of meranti planks available from Esstee Timbers. 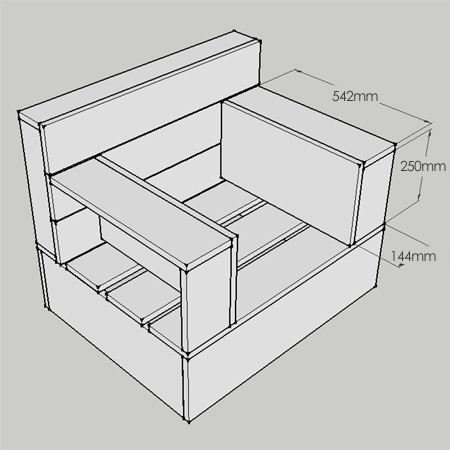 If you plan on making this project for yourself, get in touch with your local timber merchant to see what sizes they supply. To join the individual panels together you could use your preferred joining technique, which can include pocketholes, dowels or biscuits. Do use exterior wood glue when making any furniture that will go outdoors. Seal or varnish the piece after assembly to ensure protection from the elements. Plascon Woodcare has a range of preservative and sealers that can be used on any wood. If you do make this project, feel free to share with us. We might just be able to organise a tool hamper for the best project.